Berry thanks Willock for her gift, tells her about the Foundation School dormitory that burned, and invites her to visit for the 25th anniversary. 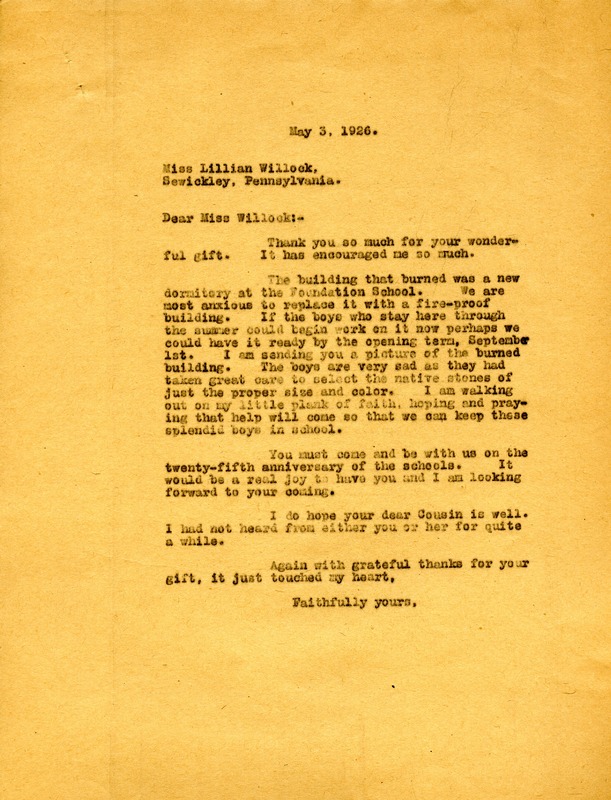 Martha Berry, “Letter to Lillian Willock from Martha Berry.” Martha Berry Digital Archive. Eds. Schlitz, Stephanie A., Sherre Harrington, et al. Mount Berry: Berry College, 2012. accessed April 24, 2019, https://mbda.berry.edu/items/show/3628.